You Can’t ‘Fudge’ This Recipe Up! No marshmallows, marshmallow cream, or chocolate chips needed in this fudge recipe and if you fallow these directions, you will soon be enjoying your new favorite fudge! Grease an 8×8 inch square baking pan. Set aside. Combine sugar, cocoa and milk in a medium saucepan. Stir to blend, then bring to a boil, stirring constantly. Reduce heat and simmer. Do not stir again. Place candy thermometer in pan and cook until temperature reaches 238 degrees F(114 degrees C). If you are not using a thermometer, then cook until a drop of this mixture in a cup of cold water forms a soft ball. Feel the ball with your fingers to make sure it is the right consistency. It should flatten when pressed between your fingers. Remove from heat. Add butter or margarine and vanilla extract. Beat with a wooden spoon until the fudge loses its sheen. Do not under beat. It will take some muscle if you’re able to use a mixer, it may shorten the beating time. Pour into prepared pan and let cool. Cut however you like! Stir all ingredients together then transfer to an airtight glass container to store in the refrigerator—a Mason jar works perfectly. Add more or less unsweetened plain nut milk or water to your desired consistency. Let it sit for at least 30 minutes for the flavors to develop—it’s even better the next day. It will keep for about a week, so halve or double the recipe if needed. 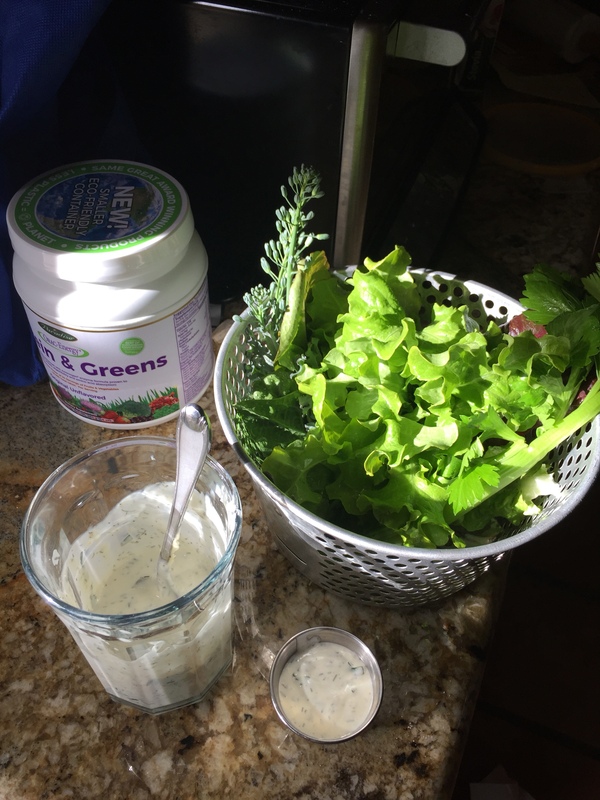 This recipe is adapted from Mind Body Green‘s website for Vegan Ranch Dressing. So simple! Give it a try and let me know how it goes below! Preheat oven to 375 degrees F (190 degrees C). Grease muffin cups or line with paper or silicone muffin liners. In a large bowl, cream together the butter and sugar until light and fluffy. Stir in the eggs one at a time, beating well with each addition, then stir in the vanilla. In a separate bowl, stir together 2 cups flour, baking powder, and salt. Stir the flour mixture into egg mixture alternately with milk. In a small bowl, mix together 2 tablespoons flour, brown sugar and cinnamon. Cut in butter until mixture resembles coarse crumbs. Sprinkle topping over unbaked muffins. Bake in preheated oven for 20 to 30 minutes (depending on muffin size), until a toothpick inserted into the center of a muffin comes out clean. Let me know how it went below! Dissolve yeast in 1/3 cup of water. Set aside. In a mixing bowl with dough hook, place sifted all-purpose flour, sugar and salt. Mix at low speed until incorporated. Add the dissolved yeast, remaining water, eggs and evaporated milk. Mix for 2 minutes at low speed then mix at medium speed for approximately 4 minutes. Add unsalted butter and continue mixing until gluten is slightly developed. Transfer the dough in a greased bowl and cover with plastic. Let the dough rest for about 15 minutes at room temperature. Punch down the dough and divide it into pieces weighing 60 grams each. Let the dough rest for 15 minutes then cover with plastic sheet to prevent from drying. Roll out the pieces thinly into 8″x5″ rectangles. Brush surface with butter. Roll into a long rod and twirl into shape, locking ends to seal. Place each piece on a greased or baking mat lined baking sheet . Bake for 17 minutes at 325 F or until golden in colour. Let the bread cool then remove it from baking sheet. 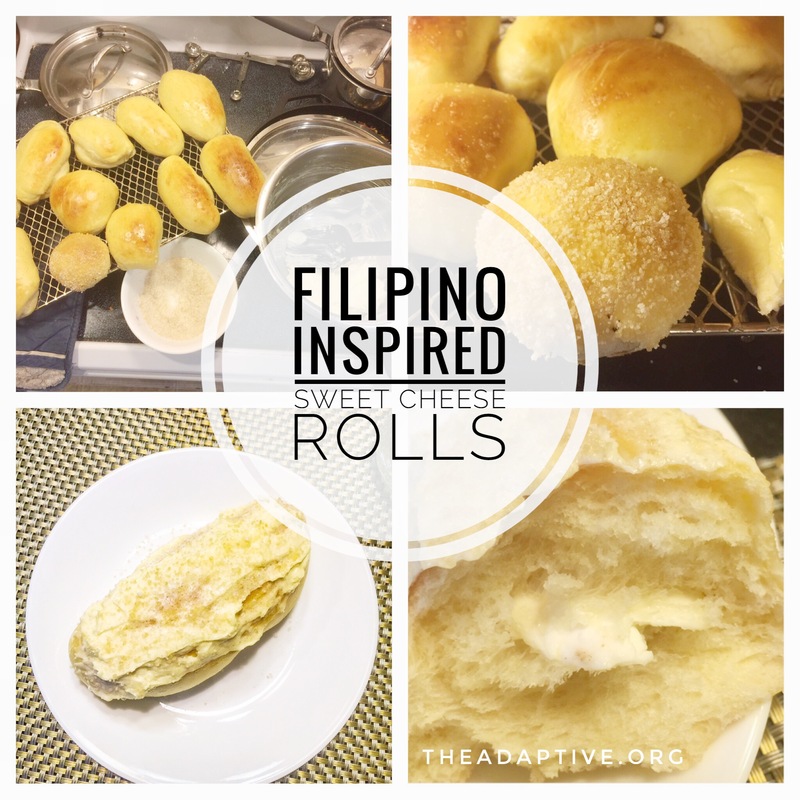 Brush the top of each ensaymada with creamed butter and sugar.